Western Reserve Land Conservancy, the state’s largest land trust, is applauding the introduction of a federal bill allocating $300 million to the Great Lakes Restoration Initiative in fiscal year 2015. Land Conservancy President and CEO Rich Cochran said it was “great news for the Great Lakes” that the U.S. House of Representatives has set aside the funding in its first version of the Interior and Environment Appropriations Bill. The Great Lakes funding – the same amount as last year but more than what President Obama requested in his budget proposal – was allocated by the House Interior and Environment Appropriations Subcommittee, of which Rep. David Joyce is a member. 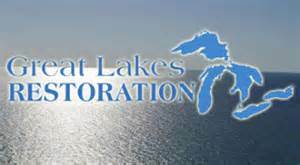 The Great Lakes Restoration Initiative is the largest investment in the Great Lakes in two decades. In 2010, a task force of eleven federal agencies developed a plan to put the President’s historic initiative into action. This plan called for: cleaning up toxics and areas of concern; combating invasive species; promoting nearshore health by protecting watersheds from polluted runoff; restoring wetlands and other habitats; and working with partners on outreach. 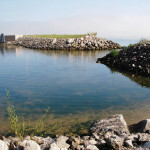 One of the local projects receiving GLRI funding was Lake Erie Bluffs, the Lake Metroparks preserve featuring nearly two miles of undeveloped coastline. The Land Conservancy worked with the park district to acquire the property. 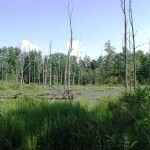 Other conservation projects benefiting from GLRI funding include the Huntley Preserve, a tract on Kelleys Island preserved by the Cleveland Museum of Natural History and the Land Conservancy, and the protection of Mill Creek, a major tributary to the Cuyahoga River.